The kinds of doors you choose for your property can make a big difference in how you efficiently and effectively use your space. Folding doors are a multi-functional and aesthetically pleasing choice for a room, offering several advantages. Flexible reconfiguration of space. With a folding door, you can establish a complete barrier between two rooms, or two parts of a room, preserving privacy and separation. However, you can just as easily remove the barrier, to various degrees, by folding the doors; when the doors are all the way open, you’ve created one unified space. If you anticipate a need to vary the spaces in your home or business property, as you host different events and use your rooms for multiple purposes, folding doors might be an optimal choice for you. Light and sound regulation. Depending on where your folding doors are located, they can flexibly regulate the amount of natural light that comes into your room; if you choose to, you can let your room be bathed in sunlight. If the doors fitted with the correct glass, they can also serve to block or muffle noise when they’re closed. Better control of air flow and temperature. The use of these doors allows you to more flexibly control how air circulates in the room, which in turn affects whether a room feels warmer or cooler especially in the warmer months. The doors themselves, when thermally broken, will also contribute to energy conservation, helping you keep your property efficiently heated or cool. Variety of styles and appearances. When you purchase bi-fold doors, they can be fabricated for different functions: as a single door, a French door, or, when fully open, broadening the room completely. The result is a stylish addition to your property. Furthermore, the doors can vary in terms of size, number of panels, materials used, and the way they’re glazed; in this way, they can be customized to your space. 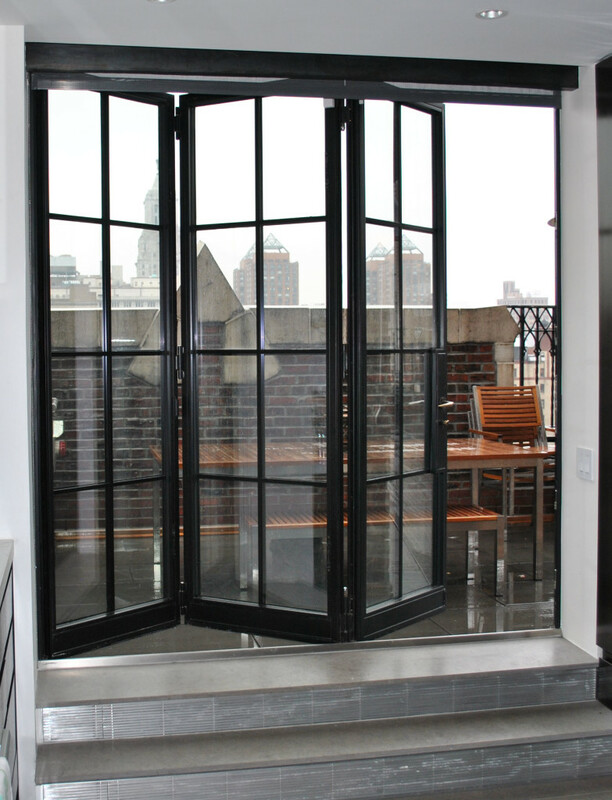 Contact Steel Windows and Doors to discuss installing high-quality folding doors on your property. We’ll discuss different options with you regarding design and materials, and ensure that these aesthetically pleasing, strong, and flexible doors will meet your specific needs.